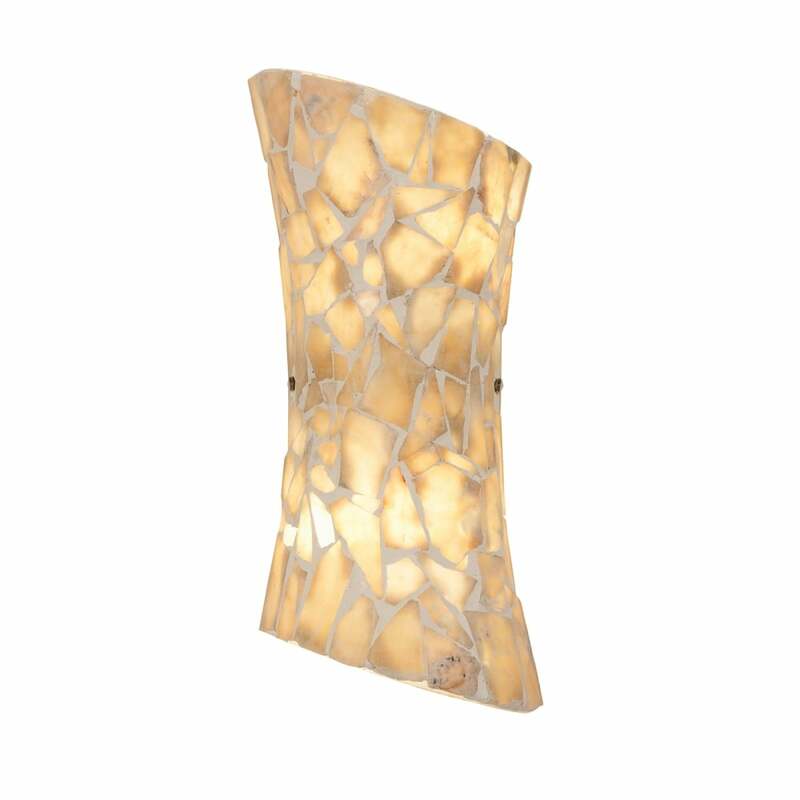 A 2 light wall fitting with mosaic effect finished glass in a natural stone colour. Dimmable and suitable for use with LED lamps. Other colour options available - Dark mixed mosaic glass, light mixed mosaic glass and mosaic mirror glass.